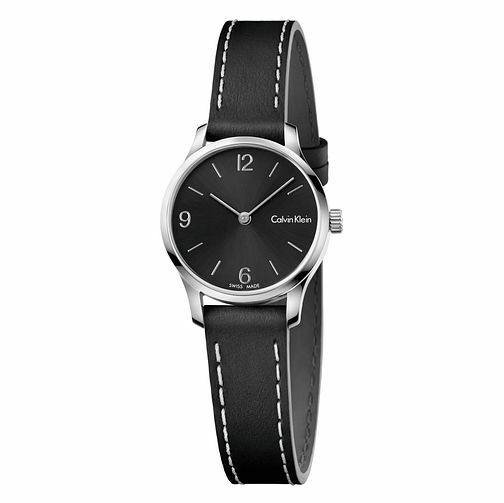 Get a classically elegant and sleek style with this ladies' watch from Calvin Klein. The black leather strap is complimented brilliantly by the black dial featuring silver hands and hour markers. This Swiss made timepiece features a stainless steel case, giving a timeless feel and appearance, making this a watch to be worn for every occasion.